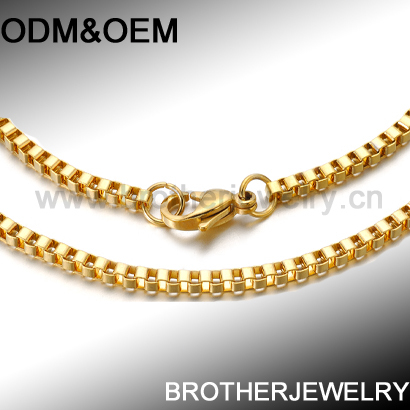 1)Material: 316L or 304 stainless steel ,no allergy to people skin. 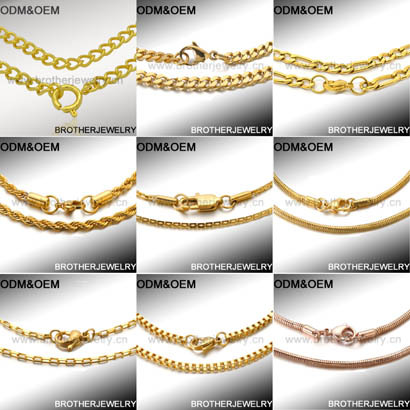 2)Color:Can be plated silver,gold,rose gold,black,chocolate others. 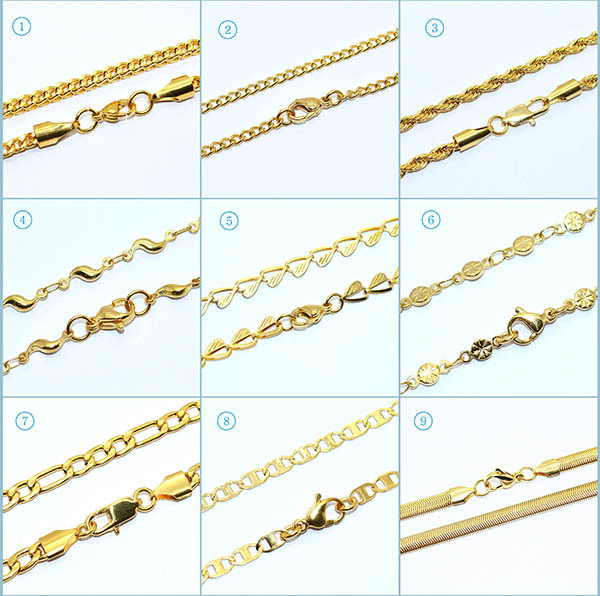 5)The lead time is 10-15 days for sample ,20-25 days for bulk order. 1)1pc/opp bag, 100pcs/medium opp bag, 10medium opp bags/carton. 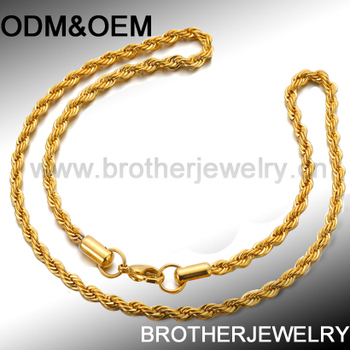 1)Direct Factory competitive price with top High quality,all warm Good service around you . 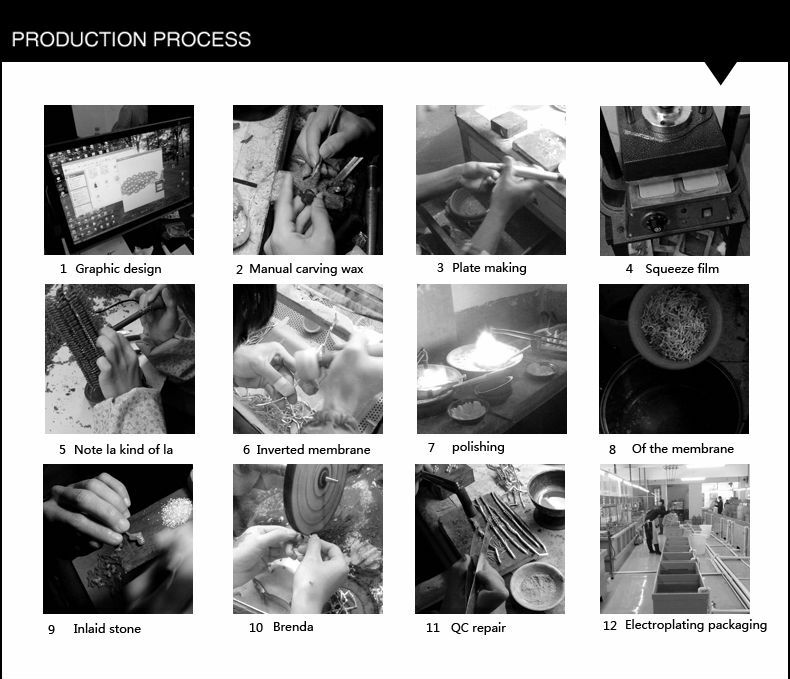 2)It is no problem for Sample order to check the quality ! 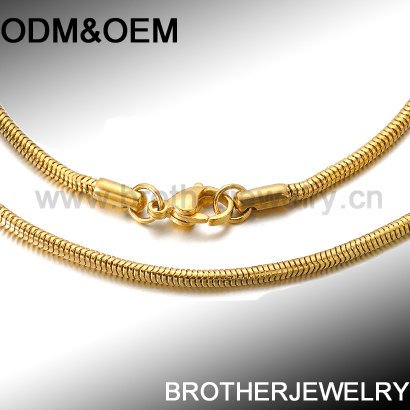 3)All Gold Filled Chain must pass the inspection of QE team,we just offer good quality products to you !! 4)OEM and ODM are welcome ! !And it is free charge to putting your company logo on the products !! We have more types,also your wanted product can be customed! 3.Consists of three factories runs by three brothers,large production capacity. 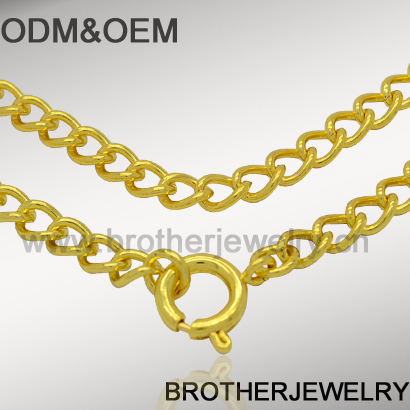 4.Professional design teamto offer OEM&ODM ,good suggestions can help you finished your own designs. 5.Strive for high efficiency ,passion,good faith ,warm servicearound you anytime. 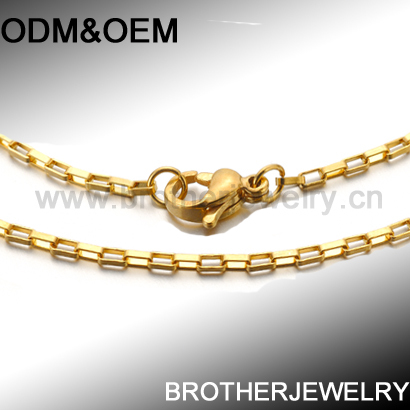 6.We just produce medium and high quality with competitive factory price jewelry to you! 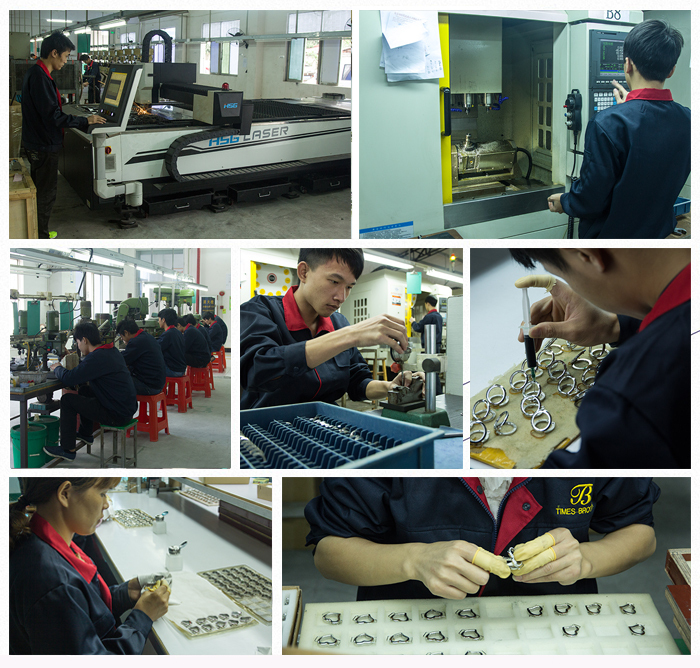 Sincerely welcome to visit our workshop !! 1. Please offer the detailed information of products u interested, such as : Color, Size and order quantity,that can help us offer you an exact price . 2. All the price of the products is subject to our final confirmation.